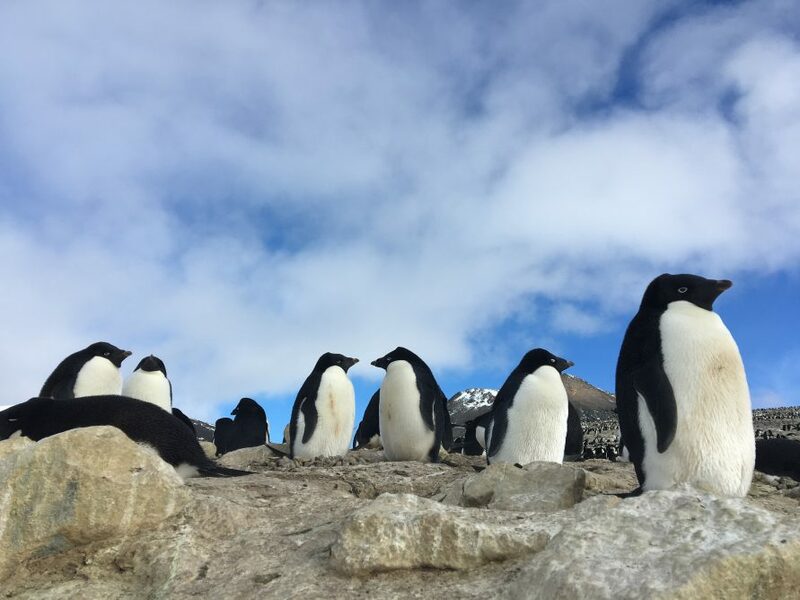 This fall Cindy Gilbert, director of MCAD’s master of arts in sustainable design program, joined a small team that is working on a multi-year, multi-million dollar documentary about the life of Adélie penguins. Based at a remote field site in Antarctica, the team of four spent three weeks capturing the migration of the penguins from the Ross Sea to land as they began building their nests and meeting their mates. Read on for a Q&A with Cindy about her Antarctic experience, as well as to see the penguins in action. Read the interview, and see some of Cindy’s photos and videos here. Image courtesy of Cindy Gilbert.